One of Sumarroca’s emblematic wines goes on the market with a renewed image. 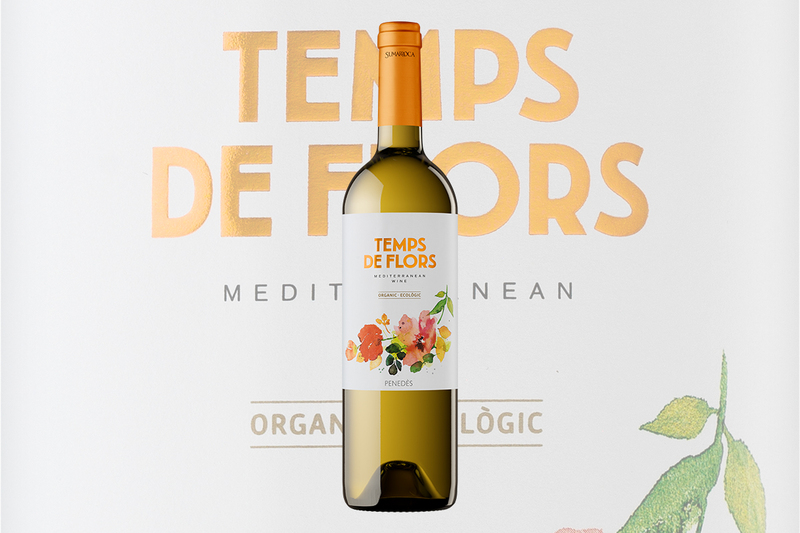 This vintage 2018, the Temps de Flors has an updated design that, additionally, equals the one of his brother Temps de Fruits, which has also been slightly adapted to match the image of his dance partner. The design renewal has been commissioned by the winery to the Óbal design studio from Sant Sadurní d’Anoia. The Temps de Flors is a coupage wine with the personality, structure and elegance of the xarel·lo, combined with the aromatic power of the small grain muscat and the Gewürztraminer, all of them grown on our vineyards. In the aroma stand out notes of ripe summer fruit, such as peach, pear, lychee and grape, as well as more floral nuances from white flowers, jasmine, orange blossom, rose and azalea. In the mouth it is opulent, creamy, with the aromas that we notice through the retronasal route. Balanced, round. A harmonious set of sensations.